* One of a kind vintage elegance describes these breathtaking Cubic Zirconia wedding earrings by Mariell. * This wholesale wedding accessory is a blend of CZ's in unique Empress and Royal diamond cuts for a look that is so sophisticated people will be sure these are priceless diamond and platinum heirlooms! 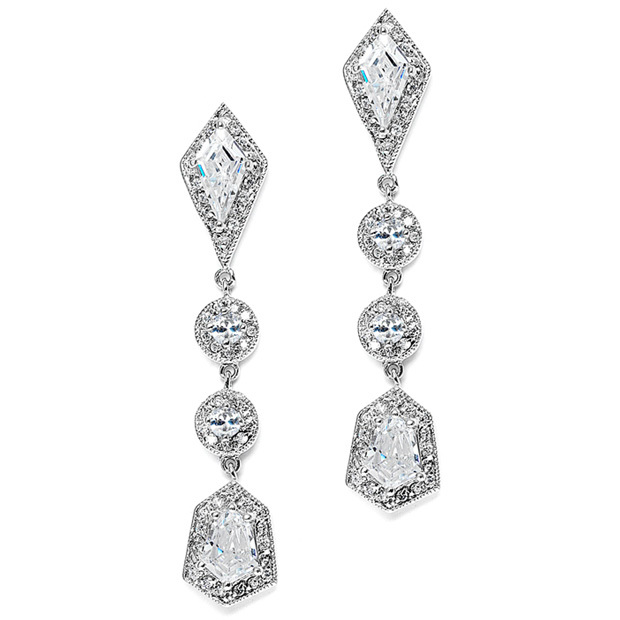 * Mariell's 2 1/4" h Cubic Zirconia bridal earrings have a ravishing updated vintage estate style.